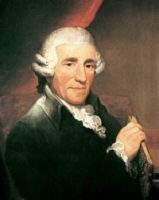 (Franz) Joseph Haydn (31 March 1732 – 31 May 1809) was a prolific Austrian composer of the Classical period. This entry was posted in Haydn, Joseph, Piano, Sonata and tagged Divertimento, Joseph Haydn, Music score, Piano, Sheet music, Sonata on 02.12.2018 by admin. This entry was posted in Haydn, Joseph, Piano, Sonata and tagged Joseph Haydn, Music score, Piano, Sheet music, Sonata on 01.12.2018 by admin. This entry was posted in Haydn, Joseph, Piano, Sonata and tagged Joseph Haydn, Music score, Piano, Sheet music, Sonata on 29.11.2018 by admin. This entry was posted in Haydn, Joseph, Piano, Sonata and tagged Joseph Haydn, Music score, Piano, Sheet music, Sonata on 27.11.2018 by admin. This entry was posted in Haydn, Joseph, Piano, Sonata and tagged Joseph Haydn, Music score, Piano, Sheet music, Sonata on 25.11.2018 by admin. This entry was posted in Haydn, Joseph, Piano, Sonata and tagged Joseph Haydn, Music score, Piano, Sheet music, Sonata on 23.11.2018 by admin. This entry was posted in Haydn, Joseph, Piano, Sonata and tagged Joseph Haydn, Music score, Piano, Sheet music, Sonata on 21.11.2018 by admin.